Nobody thought it was possible to play DreadBall with out hurting anyone until the Judwan appeared. Masters of the throwing game, the Judwan simply ignore those who stand in their way. 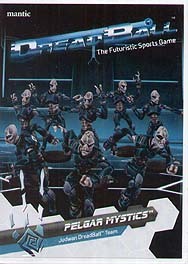 This set contains eight premium plastic Judwan players.